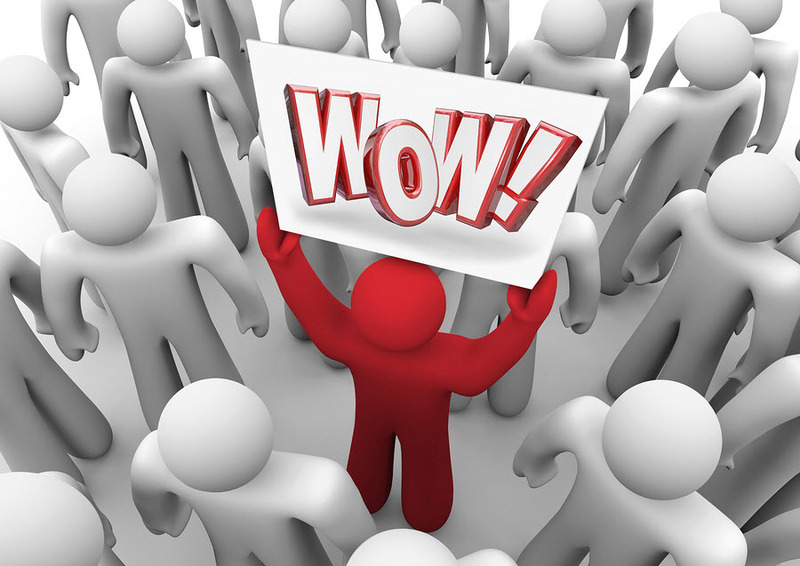 Home › Customer Service › Are You “WOWing” Your Clients Or Underwhelming Them? Marketing experts often talk about “WOWing” your clients to make sure you give them an over the top customer service experience. And I often talk about this myself when working with clients. But I’ve noticed that some companies are not only NOT WOWing their clients, they are completely underwhelming them! And the result can be a client that is not loyal, and one that eventually leaves for a company that sincerely appreciates them. A few weeks ago I did a marketing audit with Deb Brown, of Touch Your Client’s Heart. As part of that audit, I did a competitive analysis using an online tool. One of the things that immediately stuck out as I reviewed the report was a warning that said: “It looks like your site is blocked by the robots.txt file and won’t be indexed by search engines”. I immediately knew what this referred to and went to view the source code of her home page. Sure enough, I found the code that looked like this in the Header section of her website: <meta name=”robots” content=”nofollow” />. For those of you that don’t know what this means, it’s basically telling the search engines not to index this website. Yikes! Why would anyone have the “nofollow” code on their website? There are usually two reasons. I’ve often used it on individual landing pages that I don’t want indexed because I’m sending people to that page to download something like a free ebook and it’s not something I want out there for anyone to see. Website designers also use this code when developing a new website so it can be worked on before it’s announced to the world that it’s ready to be seen. I’m guessing this is what happened with this website. The designer must have included this code and then forgot to remove it when the site launched. This explained why I was not able to find her site in any of my searches, and it explained a lot to Deb as to why she wasn’t getting much traffic to her site after 2 1/2 years of being online. Yes, if you can believe it, her site was online for that length of time and not being indexed by the search engines. A small business owner’s nightmare. Upon hearing this news, Deb promptly contacted her web designer to tell her about the problem. The designer removed the code and called her back to say that it was done. That’s it. That’s all she said. No apology, no “oh my gosh I’m so very sorry for this horrible mistake”! No, “here is what I’ll do to make it up to you”. Nothing…nada. The good news is, her website is now gaining traffic and sign ups for her free offer are increasing. What would YOU have done to make it up to this client and WOW her enough to retain her business? Please post your answers below. Yes that business should definitely offered her at least two 1/2 years of free service since that is what they were paid for and what she did not receive. Mistakes happen; it’s how we handle them that will make or break our businesses large or small. I try hard to work through things with my clients and find that they respect and appreciate my business all the more. Our relationships are solidified and we are building mutual trust as well. Thanks again for all your great advice Jean! I sure appreciate learning and confirming through your site!! !